Oroville, Calif. -- Hundreds of students with special needs competed in several athletic events Friday morning in Oroville's Harrison Stadium. Student-athletes, peer buddies, and volunteers helped this Butte County tradition come together. Kids got to pick from activities such as races, frisbee throwing and the ring toss. Action News Now spoke with two parents whose daughter, Olivia, was diagnosed with spina bifida. The parents explained why today is such a proud moment for them. "So now this year today with all the therapy, we've had a lot of help along the way, but she's just beat everything and she's doing the best she can. So seeing her here today, it's overwhelming, it's huge," said Kellie Myers, Olivia's mother. 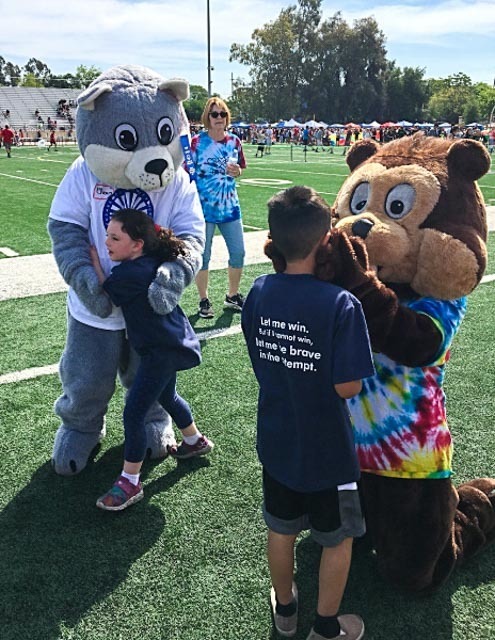 The Butte County Adapted Physical Education Specialists, Butte County Office of Education and Kiwanis of Oroville organized the event. The students with special needs are offered other fun sports activities to try throughout the year such as skiing, water skiing and ice skating.